Would you like to ride to work next Thursday and maybe win one of three nice bikes? See https://www.cycletoworkday.org/prizes to enter. 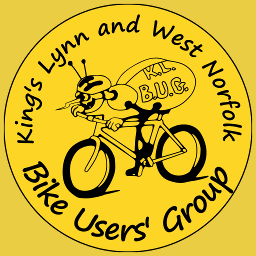 We were pleased to welcome some new riders as well as familiar faces for our ride around Lynn today. It was a bit windy, but this didn't spoil our ride (or our drinks stop at St. Germans). Thanks to all those who came along!